Book Description: At twenty-six, Lydia Hathaway has endured years of heartbreak, longing for a love that's never come. Her deceased father's foolhardiness has left her family bankrupt, and she is eventually left no alternative but to take a position as a companion to Susan Ashcroft of Danbury Park in Surrey. Anxious for peace, Lydia rambles early one morning across the muddy wilds of the Ashcroft estate, where she has a most unimaginable encounter with Connor Parkhurst, the notorious viscount of Denton. As their paths continue to cross, Lydia falls ever deeper in love with the charming rogue while battling against his growing assault on her heart. In spite of his forward attentions, she considers his behavior toward her nothing less than idle flirtation. Tormented in a relentless battle to suppress a love she cannot overcome, Lydia resolves to leave the Ashcrofts and Danbury Park forever. After all, she is nothing to Lord Denton—isn't she? My thoughts: This was a good book. I didn't connect with the stories or characters, so I am giving it 3.5 stars. It was well written and had a good story line. 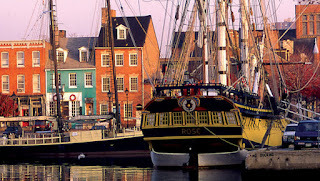 The book is set during the Regency period. Lydia is a young women whose circumstances have been reduced. Without a fortune she has been employed as a companion to a spoiled young woman. She is a woman of grace and wisdom. Lord Denton is a man who has a fortune, but is tired of treasure seeking young women vying for his attention. Lydia is a breath of fresh air for him. She seems to not be effected by his wealth, but he can't fully give his heart until he knows her true character. 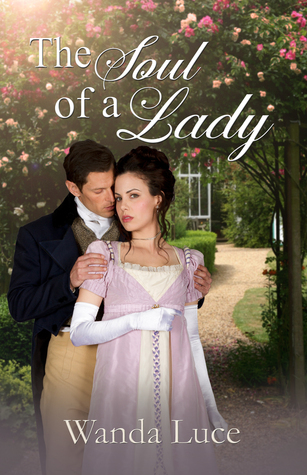 I believe that this is a book that can be enjoyed by lovers of the Regency genre. 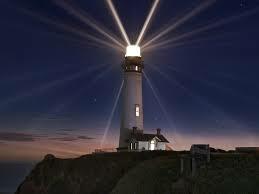 It is clean with conversation of people's indiscretions, but only contains a little kissing. Source: I borrowed this book from my local library as part of a summer challenge. Note: The original title for this book was Lydia. The Ghost of You and Me by Kelly Oram How do you tell someone who hates you and blames you for the death of his best friend that you miss him? From the bestselling teen and young adult author of Cinder & Ella comes a new heart-wrenching romance sure to bring all the feels. The tragic death of Spencer Schott unravels the lives of the two people he loved most—his girlfriend, Bailey, and his best friend, Wes. Secrets and guilt from that fateful night keep both Bailey and Wes from overcoming Spencer’s loss and moving on with their lives. Now, nearly a year later, both Bailey and Wes are still so broken over what happened that Spencer can’t find peace in the afterlife. In order to put his soul to rest, he’s given one chance to come back and set things right...even if that means setting up his girlfriend with his best friend. With the emotional resonance of Jellicoe Road and the magical realism of The Lovely Bones, The Ghost of You and Me is a story about overcoming grief, finding redemption for past mistakes, and the healing power of friendship and love. Fans of John Green, Sarah Dessen, and Nicholas Sparks are sure to love this haunting new tale from Kelly Oram. This is a clean young adult romance stand alone novel that reads like contemporary drama romance and has just a touch of magical realism. Book Description: Hilarious heroine Jacklyn Wyatt is back—this time in a dicey Vegas adventure! Jacklyn “Jack” Wyatt is just your average Mormon girl—other than her brief stint with the FBI, her subsequent brush with death, and her dreamy boyfriend, Special Agent Damon Wade. But in the eight months since she helped save a kidnapping victim, Jack’s life has returned to its mostly stagnant state. 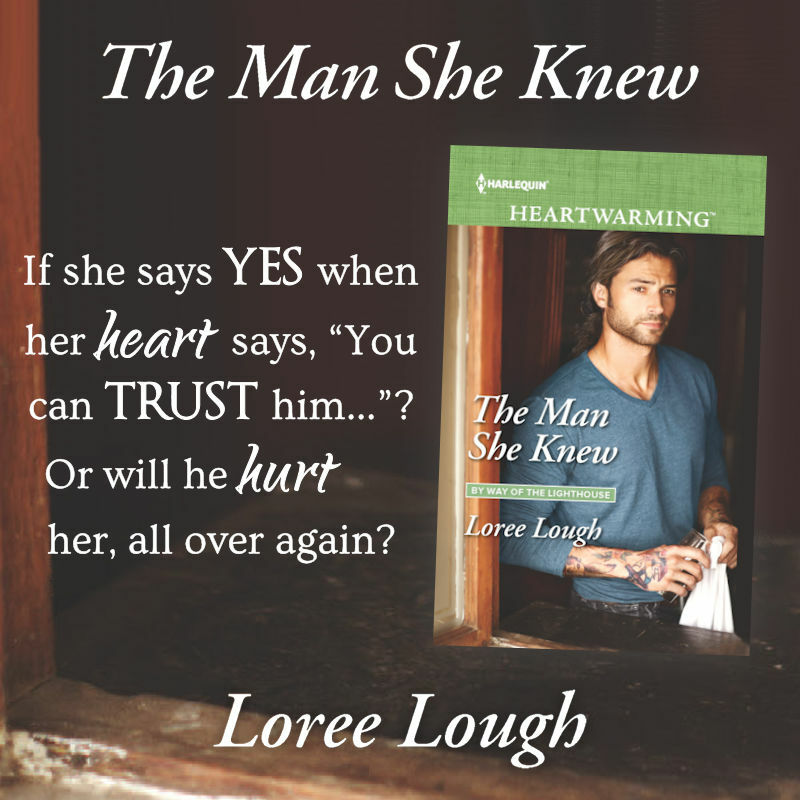 She’s still trapped in a dead-end job, and even her relationship seems to be stuck in a rut. These days, adventures are few and far between. So when Damon heads to Las Vegas on assignment, Jack sees the perfect opportunity to surprise her boyfriend and rekindle the spark in their relationship. But the surprise is on her: she has just landed herself in the middle of a high-stakes operation involving Russian criminals. Unwittingly drawn undercover once more, Jack is all too aware that the survival of Damon and his associates depends on the success of her charade. In the unfamiliar world of luxurious limos, exclusive nightclubs, and gambling, Jack must convince the high-rolling hustlers that she is a terrifying international arms dealer. If only she knew anything about poker. Or guns . . .
My thoughts: I love the MC, Jack. She is hilarious. She gets in the worst situations and her sarcastic personality and humor get her through everything. A Date with Danger comes before this book. 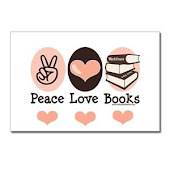 I would suggest they be read in order, and really, I loved both of them. 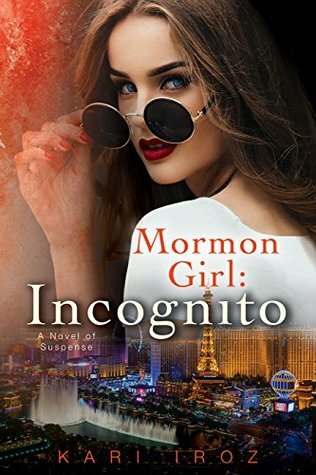 Mormon Girl: Incognito takes place after the first and mentions situations from the first book. Plus, you get to know the personalities of Jack and Damon. The location of this story is mainly in Las Vegas. Damon is there for work and asks Jack to join him and meet his family. Damon is with the FBI and undercover, but Jack doesn't know that and decides to surprise him early. She ends up being surprised when she unwittingly almost blows his cover on a case. Now she is part of the case. The way Jack handles herself in stressful situations is great. Like I mentioned above, she has as very sarcastic personality and a way with words. There were many "laugh out loud" moments. But at the same time, she is able to overcome her insecurities (in a unique way) and get the job done. The book contains religious references. You can probably tell by the title of the book. I think it would be fun for anyone to read. There is kissing and violence. Book Description: Evelyn Wisely has a heart for the orphans of Teaville and works at a local mansion that rescues children out of the town's red-light district and gives them a place to live. But her desire to help isn't limited to orphans. The owner of the mansion, Nicholas Lowe, is willing to help her try to get the women working in prostitution out of the district as well--if she can gain the cooperation and support of local businessmen to go against the rest of the community. David Kingsman has recently arrived in Teaville from Kansas City to help with one of his father's companies in town. While he plans on staying only long enough to prove his business merit to his father, he's shown interest in Evelyn's work and is intrigued enough by her to lend his support to her cause. They begin with the best of intentions, but soon the complications pile up and Evelyn and David's dreams look more unattainable every day. When the revelation of a long-held secret creates a seemingly insurmountable rift between them, can they trust God still has a good plan for them despite all that is stacked against them? 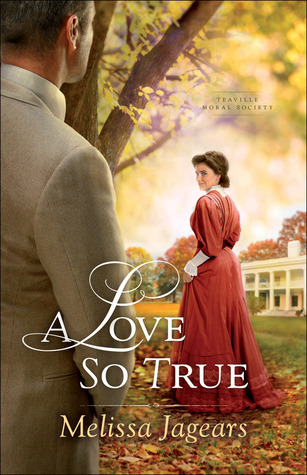 My thoughts: A Love So True is the second book in a series, but can be read as a stand alone. Teaville, Kansas is a small community with a red light district. Evelyn Wisely is a 27 year old woman who is trying to better the lives of the children born to the "soiled doves" and try to help the mother's as well. She has made it her mission to help women get out of the life they are in. She has grand plans and tries to solicit help to achieve her goals. This puts her in the path of David Kingman, a wealthy business man. The attraction is there, but both hold on to secrets that could make a relationship impossible. This book took me longer to read than planned. This book contains a lot of social issues, and it took me a little longer to fully appreciate all that it offers. The book deals with material that was taboo for 1908. Many tried to pretend that "houses of ill repute" did not exist and considered the women as beneath redemption. You can still see some of that in today's world, but I hope that we are a little more educated. This book is not one that I could sit down and continue reading for hours at a time. I had to savor this one a little more to get all of the messages that Melissa Jagears was giving me. I give this book a high recommendation. It does mention prostitution and the plight of the prostitutes. It also contains Christian themes and a little bit of kissing. 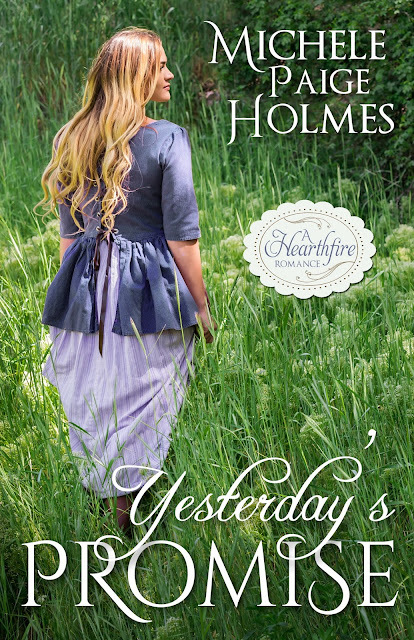 I am excited to show you the new cover in the Hearthfire Series by Michele Paige Holmes. New from Michele Paige Holmes, Amazon’s bestselling historical romance author and Whitney Award Winner, comes the newest Hearthfire Historical Romance, YESTERDAY’S PROMISE. Nineteen-year-old artist Katherine Mercer dreams of selling her paintings to help support her struggling family. Before she has the opportunity, Katherine learns she is to be sold—or practically so—given in marriage to a lord she has never met or even heard of. In return, a much-needed settlement will be made upon her mother. Katherine’s situation goes from frightening to surreal when her husband-to-be Laird Collin MacDonald arrives with an entourage of men, each heavily armed and speaking with a thick brogue. As if leaving all she knows behind and traveling to another country with strangers isn’t bad enough, Katherine soon discovers a Scottish heritage she knew nothing of, a brother-in-law who wants her dead, and far more at stake with her paintings than she had ever imagined. Forced to turn to her reclusive husband for answers, comfort, and even her very survival, Katherine begins to unravel the mysteries of her past and what it is to love and be loved. Pre-order your copy from Amazon. When a riding accident strands socialite Caroline Turner overnight with the new stable manager, she gets the one thing she never wanted—a husband! Marrying the infuriatingly stubborn Duncan McKenna wouldn't have been her first choice, but with her reputation damaged, it's her only option. Still, there's something about the brash, rugged Scotsman that fascinates Caroline. 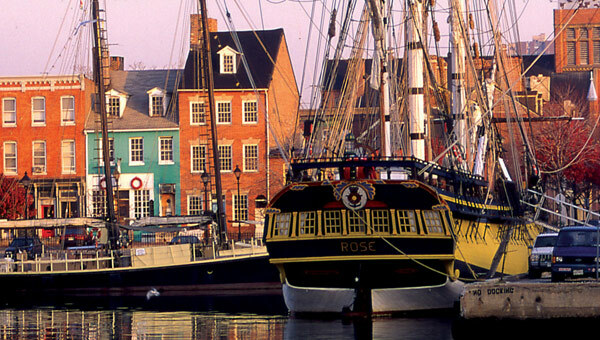 If Duncan wanted to wed a society girl, he would have stayed in Boston with his family and his fortune. He expects Caroline to balk at her new modest lifestyle, but instead the strong-willed beauty seems determined to prove him wrong, making her all the more irksome…and irresistible. The marriage of convenience isn't what Caroline and Duncan planned, but could they be a perfect match? My thoughts: This is the first Karen Kirst book that I have read. It is part of a series, but can be read as a stand alone. The book takes place in Tennessee in the 1800's. Caroline has been raised as a socialite and has been taught to look down at men who may not be her social equal. Things change when Duncan comes into town. He has the look of a drifter, but has been hired by Caroline's father to take care of the horses. Life gets harder for them when they find themselves wed or face scandal. Both are harboring secrets, neither fully trusts the other. I found this book to be cute and fun to read. I enjoyed the pacing, I liked the dilemma's the characters found themselves in, and above all I liked that they believed in honor and fidelity, despite the uncertainties in their marriage. There are a few couples mentioned in the book that I believe their relationships were the romance in previous books in the series. I may have to pick up a couple and read some more about this town and the people who live there. 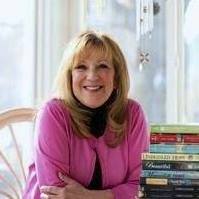 About the Author: (Taken from Goodreads) Karen Kirst was born and raised in East Tennessee near the Great Smoky Mountains. A lifelong lover of books, it wasn't until after college that she had the grand idea to write one herself. The pursuit of her dream would take longer than she first anticipated...years, in fact. 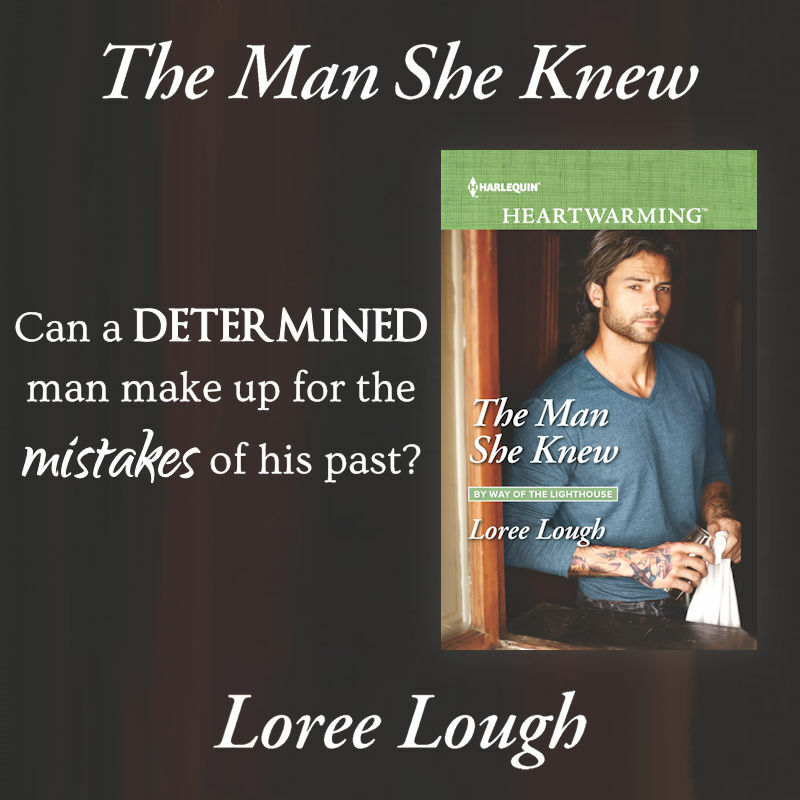 In the fall of 2010, she got the happy news that Harlequin Love Inspired Historical wanted to publish her manuscript-a true blessing from God. Now she divides her time between being a wife, homeschooling mom, and romance writer. She enjoys reading, hosting tea parties and spending time with friends. 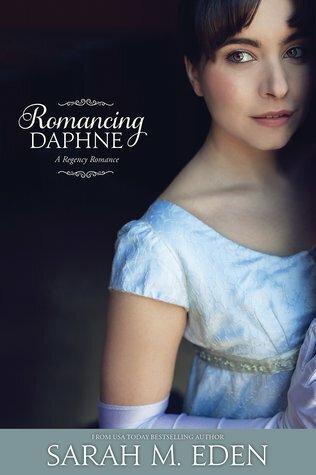 Blog Tour for "Romancing Daphne" by Sarah Eden + tour giveaway! Book Description: As her first London Season looms before her, the thought of the impending social whirl fills Daphne Lancaster's timid heart with dread. She hasn't her sisters beauty nor their talent for conversing easily. Even her family's enviable connections may not be enough to prevent disaster. 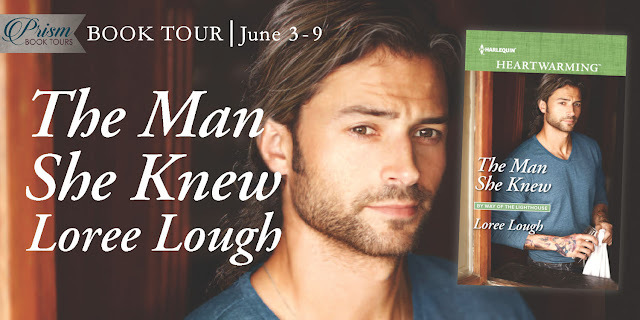 But Daphne's misery turns to surprised delight when the first event of her Season brings an unexpected visitor to her door—James Tilburn, whose tender kindness stole her heart in her youth. When the handsome young gentleman expresses his desire to court her, Daphne is elated. Their feelings for each other quickly grow, and it appears that, much to Daphne s disbelief, her happily ever after is within reach. 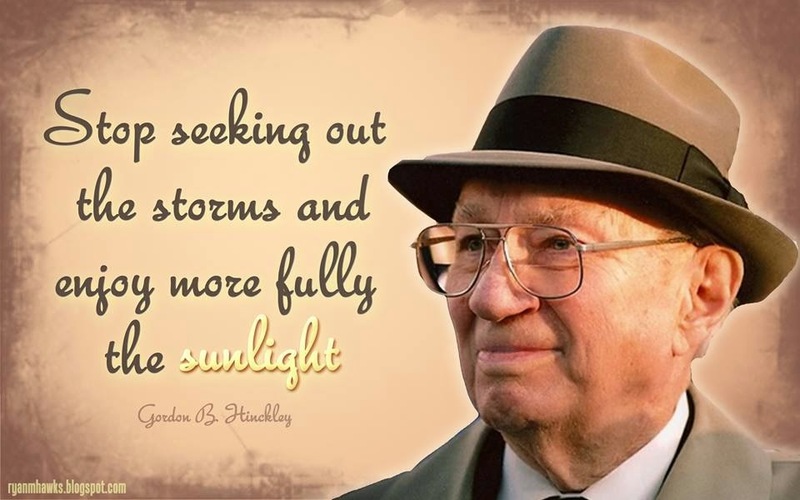 My thoughts; I didn't realize that this book was part of a series of books that feature one of my all time favorite characters, The Duke of Kielder. The first book that I read of Sarah Eden's was Courting Miss Lancaster. From that moment I have read everything I can get my hands on written by Sarah Eden. While this book is part of a series, you can read them separately, but I do recommend starting with Seeking Persephone. It will give you an introduction to the characters and you may come to appreciate the Duke as much as I do. Daphne is the third daughter and she hides behind the persona of mediocrity. She has been told that she is plain, so she dresses plainly. She doesn't think she is witty, so she hides her personality from others. She has read extensively and hides her intelligence. In fact, running and hiding is the talent she shows the word. The fact is that she is a very accomplished, intelligent, and kind person. James Tilburn is a young man with a domineering father. He has spent his life trying to take care of everyone in his his family, leaving his thoughts and desires in the background. He is "forced" to seek out Daphne and give her a boost into society by pretending to be a suitor. Somewhere along the line, the pretending and the desire to court Daphne become blurred, but he is caught in a trap not of his own making. I loved this book. I love this family. I hope Sarah Eden writes more about the Lancaster's. There is a younger sister and a brother that I would love to read a story about. :) I admire the dry humor, brutal honesty, and fear that Kielder inspires. His escapades and personality are "laugh out loud" moments. Not to say that I didn't like James and Daphne. Keilder always steals the show for me. If you haven't read these books, "what are you waiting for!" Source: I received a complimentary copy from the publisher. The gushing and loving the book are my own thoughts and opinions! 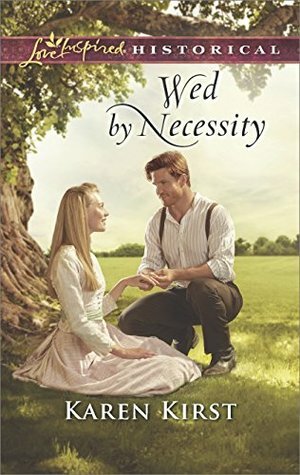 About the Author: (Taken from Deseret Book) SARAH M. EDEN read her first Jane Austen novel in elementary school and has been an Austen addict ever since. 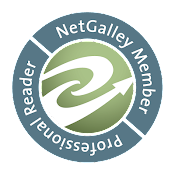 Fascinated by the English Regency era, Eden became a regular in that section of the reference department at her local library, where she painstakingly researched this extraordinary chapter in history. Eden is an award-winning author of short stories and was a Whitney Award finalist for her novels Seeking Persephone and Courting Miss Lancaster. Visit her at www.sarahmeden.com. (Prize and winner notificaton will be coming from Covenant Communications. Source Received to review as part of this blog tour. Book Description: Don't they both deserve a second chance? My thoughts: A stupid decision can alter the path of your life. 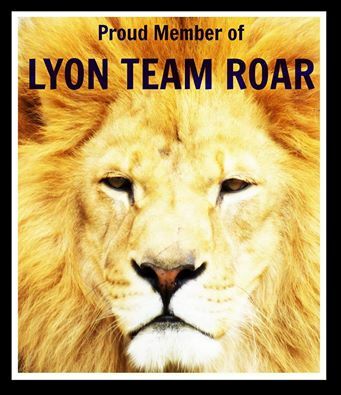 Ian Sylvestry learned this fact when he was sent to prison, leaving the girl he loved heartbroken. Years have passed and he is a successful businessman, but he still has not made amends with Maleah. This book was about second chances. How do you take a wrong and find a way to make it right? Ian knows that he has lost trust and respect, but knows he is a man worthy of both. His past broke him and he is letting it break his future happiness. Maleah comes from a family of law enforcement. The last person they want her to find happiness with is an ex-felon. She has problems overcoming the hurt that he put her through. How can she let go of the past to find happiness with Ian? This book dealt with some real emotional issues. 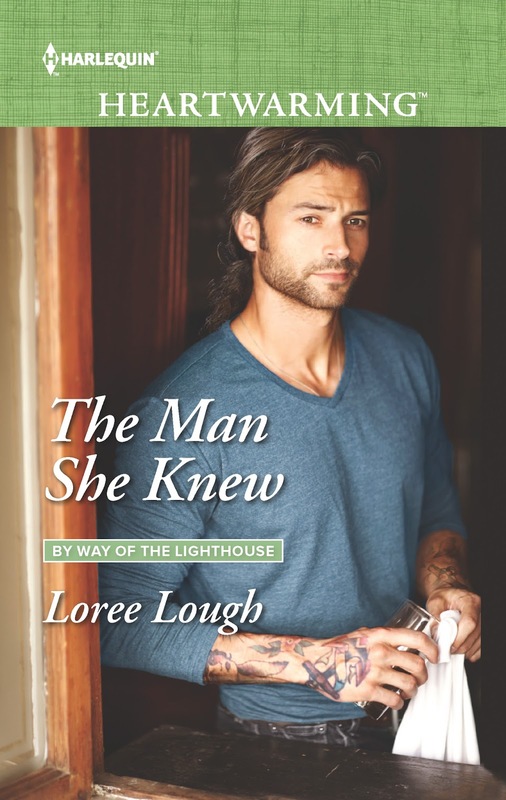 I was impressed the Loree Lough took a tough subject matter and turned it into a positive. There are so many psychological issues that had to be overcome for this book to succeed. I felt that it was done well. If you like books about second chances, success in spite of obstacles, family loyalty, and honor, this may be a book for you to dive into. It is clean with kissing. I'm Looking Forward to Watching "Love, Kennedy".